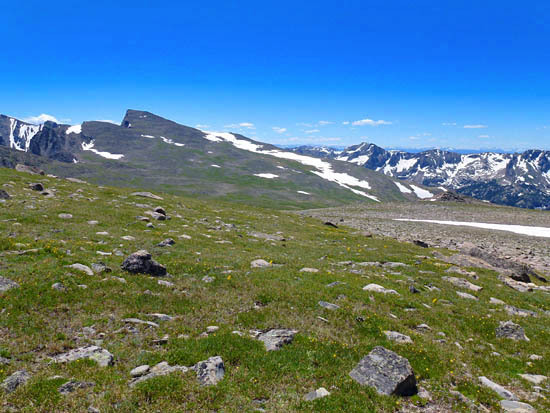 The Alpine Tundra Ecosystem is a region of extremes. Strong wind, cold temperatures, poor soil, extended snow cover and a short growing season limit what plants can grow here. Many flowering plants of the tundra have dense hairs on stems and leaves for wind protection, or red-colored pigments that convert sunlight into heat. A 1" diameter lichen may be hundreds of years old; some lichens can live for thousands of years. Lichens help turn rock into soil by secreting acids that dissolve it into minerals.